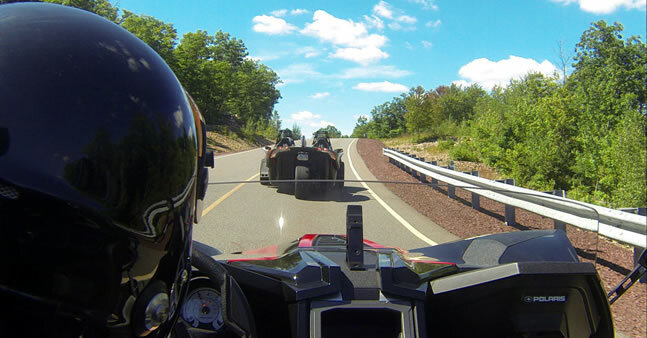 Heads Will Turn As You Explore The Pocono Mountains In A Polaris Slingshot! 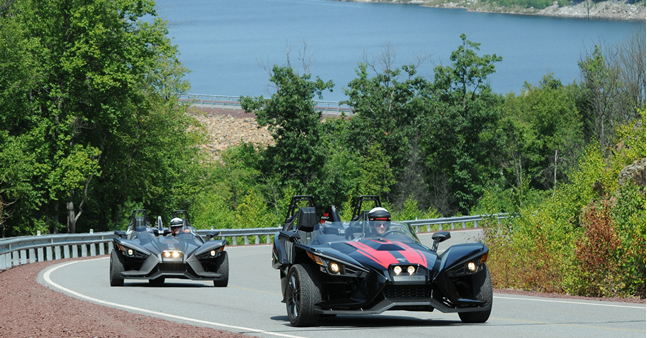 Stand out from the crowd as you tour the best scenic roads in the northeast. 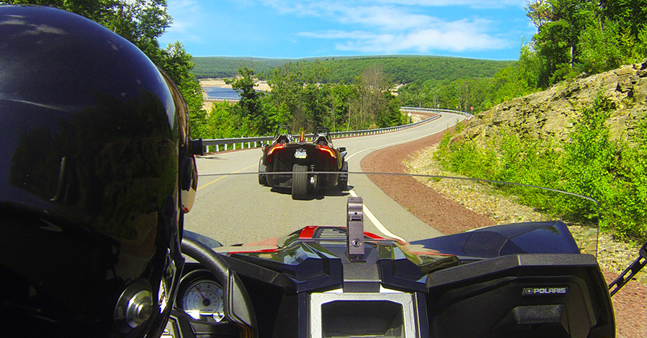 Let Pocono Slingshot Rentals be your go-to destination to truly experience the Pocono Mountains of Pennsylvania. 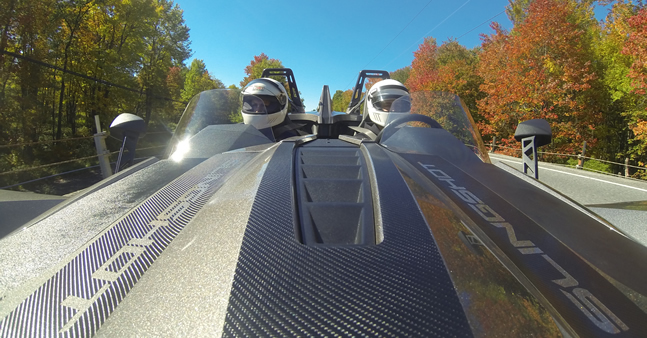 With the beautiful natural scenery, historic towns and over 100 lakes there is no better way to enjoy it than with a 360-degree view from an open-air cockpit! Located only 2 hours from New York City and Philadelphia the Pocono Mountains make a great destination for day or weekend trips. Our rentals are available April-October. 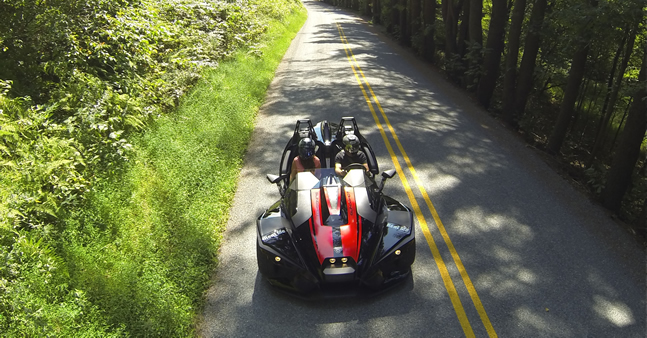 You may be wondering what a Polaris Slingshot is…well, it’s not a motorcycle, it’s not a car, it’s just an amazing driving machine! 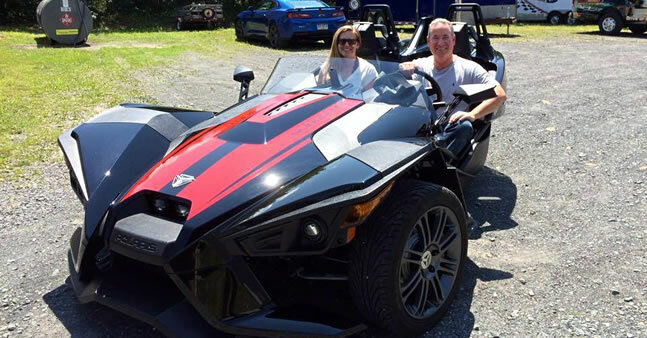 With the Polaris Slingshots dual seats it’s the perfect getaway for couples touring the area. Our 4-Hour Rental is a great option if you’re short on time. There are some great sightseeing spots within a short distance from our rental location. 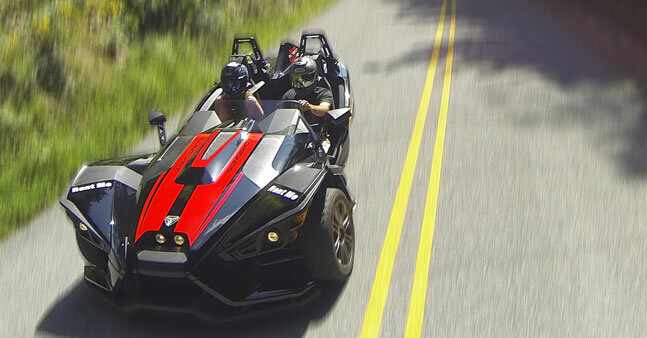 If you are considering buying a Slingshot this rental is also the best way to try before you buy. Bring a guest to ride shotgun at no additional charge. 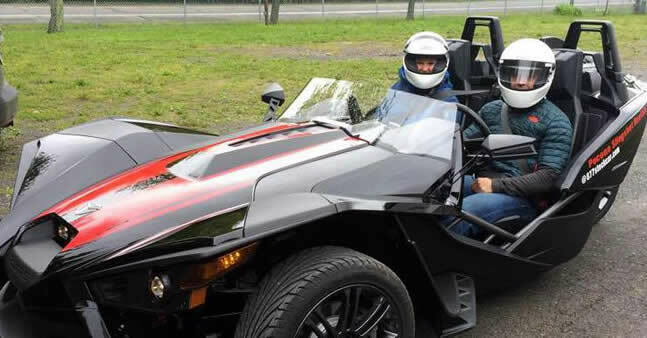 With our 8-hour rental you and your passenger will have time to stop for breakfast and lunch while hitting all the great destinations around the Poconos. We can even suggest some routes for you to take. With less traffic on weekdays you have more time to enjoy the ride. We hope you’re not shy, Slingshots get a lot of attention! Receive exclusive Slingshot offers by email. These are not follow-the-leader type tours. Blaze your own trail or try one of the suggested routes below. If you’d like to create your own route see our pick-up location at the bottom of the page. 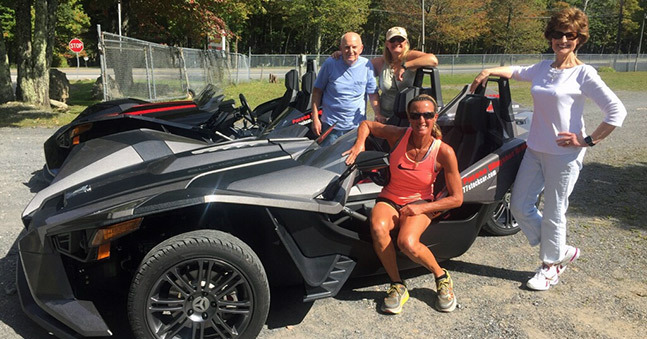 We had a great time with renting the Slingshot. Enjoyed talking with the staff there about the various experiences they offer. 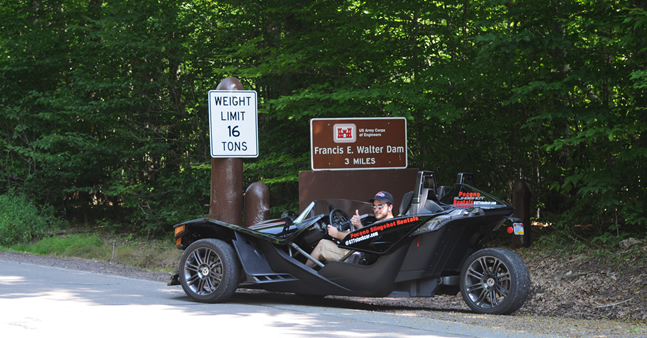 Drove the Slingshot for four hours and had a blast! The staff was great, they seemed honest and cared that we had a great experience. Excellent experience, very friendly and helpful staff. 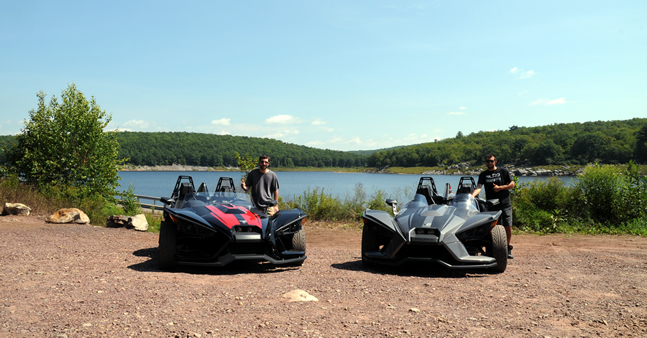 We had a blast driving the slingshot! Thank you! !